Taking care of my hair is so important to me, and I absolutely love getting my hair styled by Christine at her salon, Life And Colour Salon, because she is absolutely amazing!! I also love being blonde, but getting highlights can be super hard on your hair - So I was really excited to try out Revlon Professional's new Blonderful products - It is a full range of products that have Plexforce in its formulas that help maintain the hair's structural bonds & helps reduce breakage during hair treatments leaving your hair feeling & looking healthy. Christine is the Queen of colour - I am so picky about my hair colour, wanting it to be blonde while also looking as natural as possible, and she makes it look amazing every time. She also knows so much about how to repair my hair after I am so hard on it (with traveling, different types of water can really dry it out, as well as swimming in the ocean & styling it with hot tools) so she always leaves my hair feeling healthy & silky when I leave her salon - It is such a treat! The Revlon Professional Blonderful Range is also key in keeping my hair strong & healthy through the colouring process - and it helps create a brighter, more luminous shade of blonde, so it is a must! 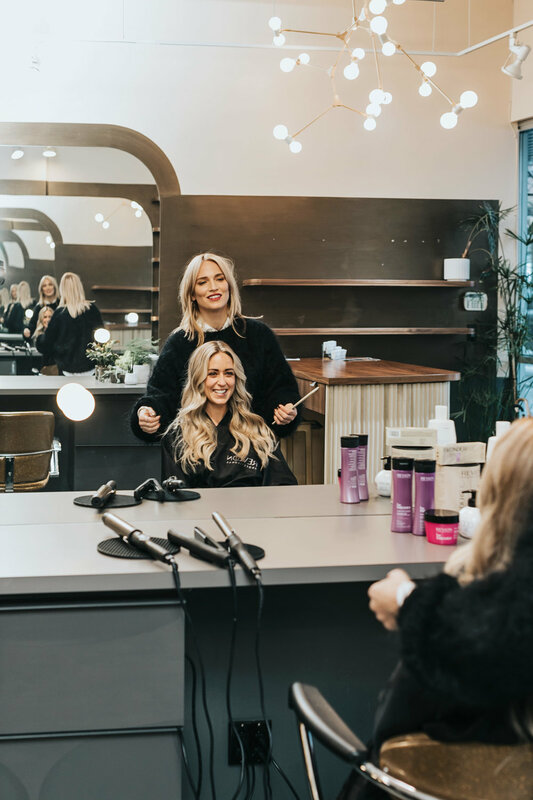 The Blonderful range is salon exclusive and features the Bond Maintainer which is a take-home treatment you use before shampooing once a week to keep your blonde locks looking and feeling healthy. The Revlon Professional Blonderful Collection includes products that can be used at a salon, and products that you can use at home, so even if your salon doesn't use the salon level products, you can treat yourself with your own Blonderful Treatments at home as well. On top of how amazing Christine is at doing hair, she is also just such a joy to hang out with! I never knew how fun getting your hair could be until I went to Life & Colour Salon - My hair can take 3+ hours sometimes, so it is so nice to be hanging out in a space that feels like I am just hanging out at a friend's house.